Have you ever stopped to think about how a missing tooth can affect your dental health? Although missing teeth can automatically be associated with an aesthetic problem, the reality is that it’s much more serious than that. In fact, leaving empty gaps in your smile can result in serious consequences that risk your dental health, one of those being bone loss. So why does bone loss occur and what are the risks? 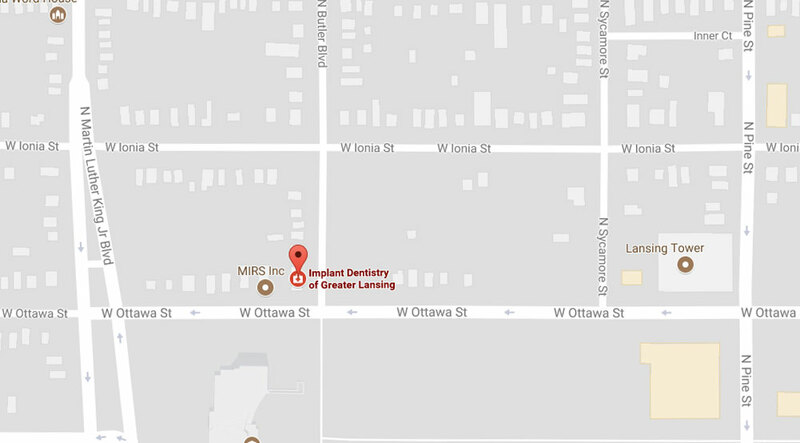 Our staff at Implant Dentistry of Greater Lansing explain. Simply put, bone loss occurs due to tooth loss. When teeth go missing, the jawbone is no longer stimulated by the tooth roots and as a result, begins to deteriorate. Stimulation is needed to keep the jawbone strong and healthy. Without the proper stimulation, the bone density will weaken and dwindle. There are many risks that can be associated with bone loss. Because loss of bone density causes the jawbone to deteriorate over time, it can slowly start affecting the remaining, healthy teeth in the mouth. Unfortunately, over time, neighboring teeth will begin to loosen and eventually fall out. When this occurs, the mouth will be left vulnerable to infections and disease. Empty sockets that are left unattended can easily allow for the formation of diseases and become a breeding ground for bacteria, leading to gum disease. Once the infection exists in the mouth it can lead to more serious consequences and affect a person’s overall health. In severe cases, bacteria that is found in gum disease may get into the bloodstream and travel to the heart, resulting in heart disease. Lastly, bone loss can have a major impact on your appearance and the aesthetic look of your smile, facial structure, and facial features. When empty gaps are not filled with new teeth, the lack of stimulation will cause the jawbone to shrink further, resulting in premature aging, wrinkles, sunken cheeks, and in some cases, facial collapse. If you’ve suffered the loss of one or multiple teeth, visit our office in Lansing, MI. Our dedicated team is here to help you get the care you deserve. We’ll set up a consultation and explain your options. We believe that every patient deserves personalized treatment tailored to their specific needs. Contact us today to get started. Your new smile waits.